The Florida Gators kick off their 2014 season with an impressive 65-0 win over Eastern Michigan. 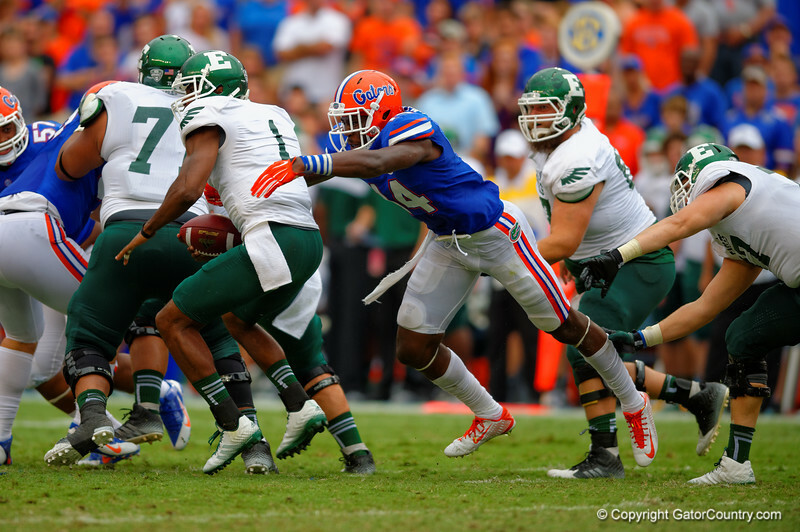 Florida Gators defensive lineman Alex McCalister sacks Eastern Michigan quarterback Rob Bolden . Florida Gators vs Eastern Michigan Eagles. September 6th, 2014. Gator Country photo by David Bowie.